Deas and Anderson of Hindman’s Division pull back from the ridge above the Dry Valley Road. 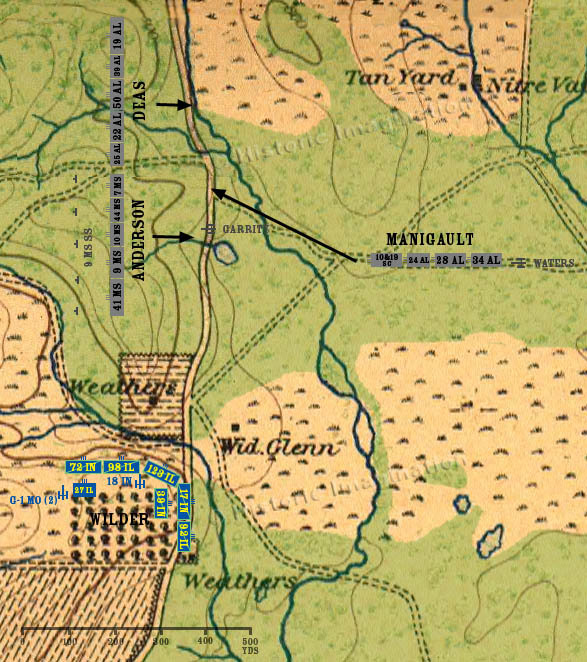 Hindman has orders to move north and join Johnson’s Division in attacking Horseshoe Ridge. Manigault’s Brigade rejoins the other two.